Who’s waking up a proud Brit this morning? We just might have pulled off the greatest show on earth, in a very British way! Bloody good ol time wasn’t it? We shall be heading to Dalston Roof Park Gardens for a very British affair. 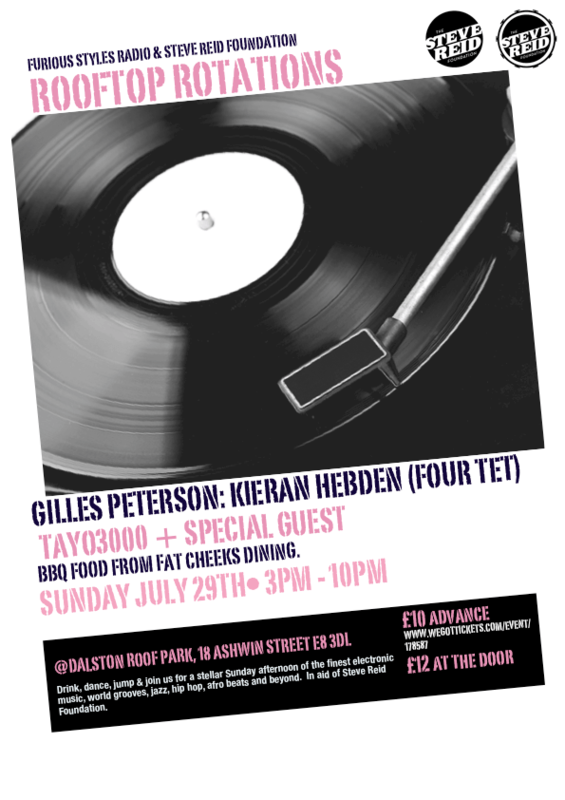 72Booms hero Gilles Peterson shall be headlining and all proceeds for this sunday session will go to The Steve Reid Foundation. Steve Reid was an American jazz drummer who performed alongside greats such as Miles Davis, James Brown and Fela Kuti. With this incredible line-up and stunning venue, this could be very special indeed. We’re praying for some sunshine…but then it just wouldn’t be very British would it? Pre-sale tickets are SOLD OUT but there will be tickets on the door from 4pm!